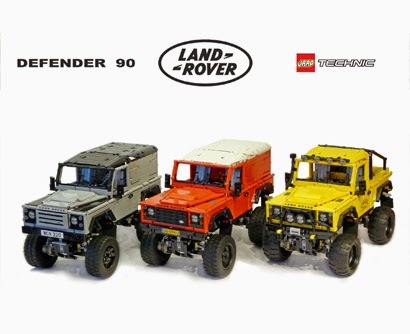 This is the new version which replaces the old Grey standard Landrover Defender 90. 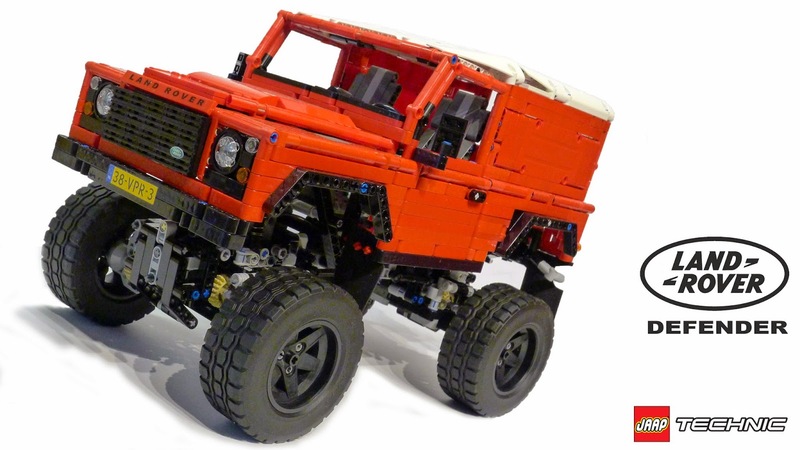 The chassis is based on the 9398 Official lego set with the red colours changed in black. 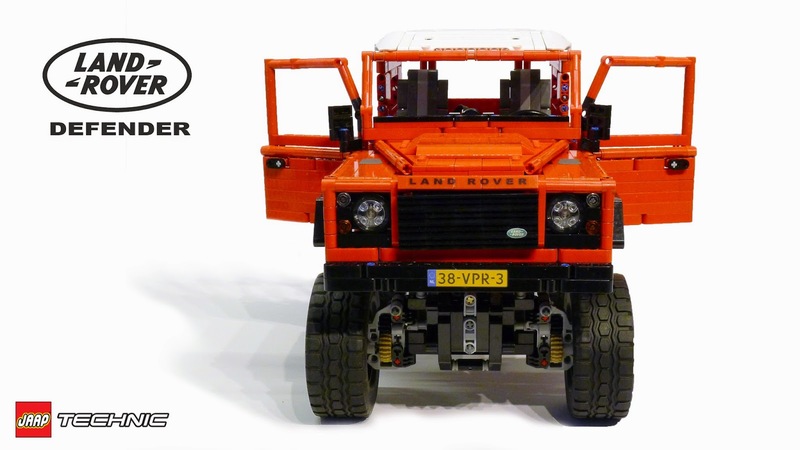 The whole design is based on the english X-Tech version of a Defender 90 with nice black rims. So the steering is also positioned on the right side of the vehicle. The front grill is changed to match the original vehicle. I added mudflaps to cover the large space between the body and the wheels. These mudflaps are for sale in my webshop as well as there are building instructions for all three models. 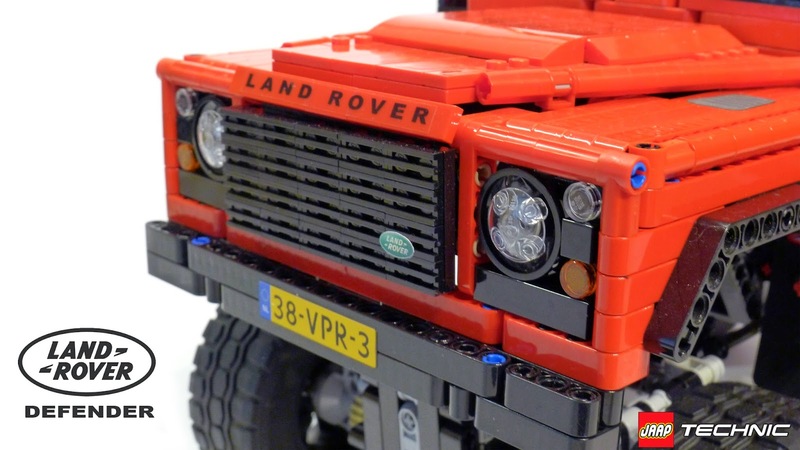 The red version is the successor of the old Grey Landrover. This version is kept original. Ready for you to get tuned. I added a white roof to make it more special and unique. There are building instructions available for this model. 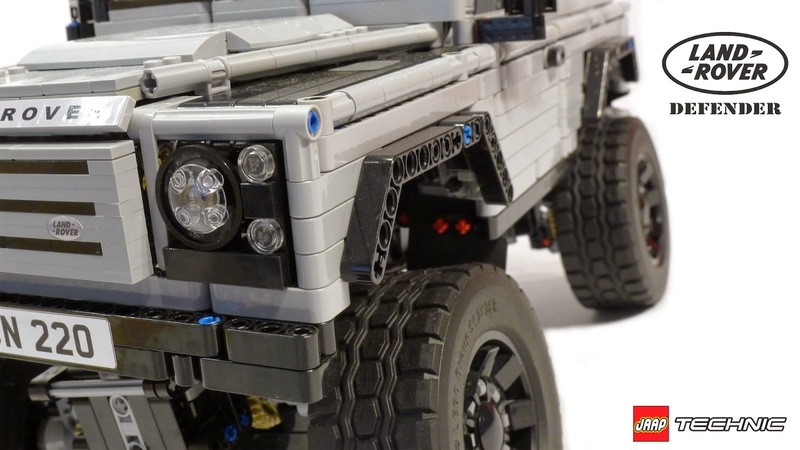 The Camel version comes with a stronger front bumper and pickup design at the rear. The rear door can be folded down just like the real one. There are extra lights on the roof and front bumper for extra details. Also a air intake is mounted next to the front window. In case the whole model rolls over there is a roll-bar on the back of the pickup with a spare tire tied down with some chains. I made my own mini Camel Trophy stickers, which are also for sale in my webshop, to match the real yellow beast. 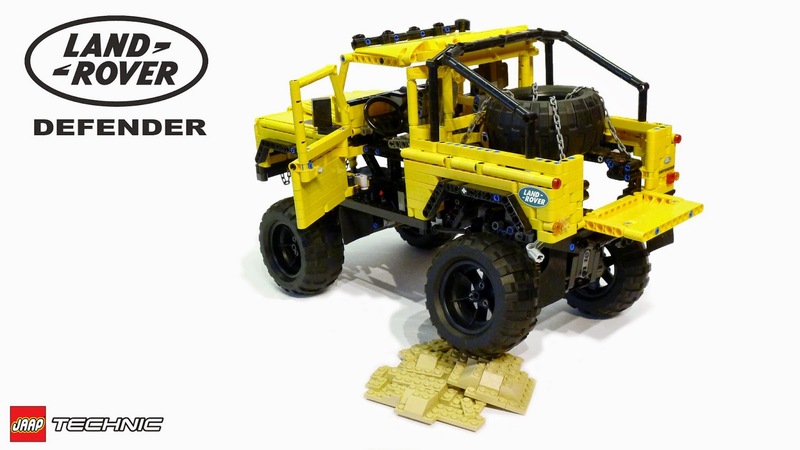 Do you want to build this model with your own bricks? You can find building instructions in the webshop. Can you buy the RC cars already built, if so how much would it cost? 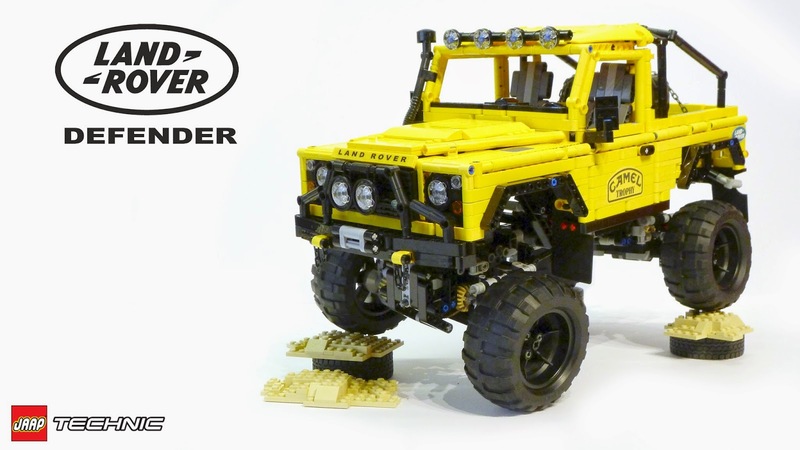 Are there instructions for the rock crawler chassis version? are there build instructions for this model ? it linked here . 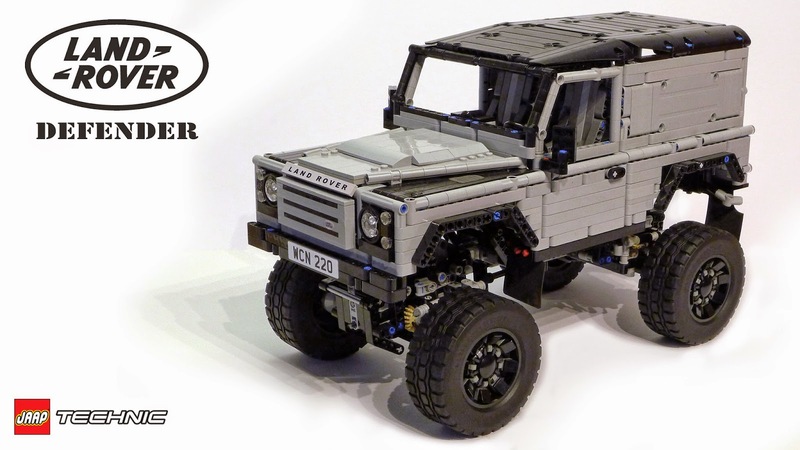 where on buy the defender ??? I made all three and a own creation to. 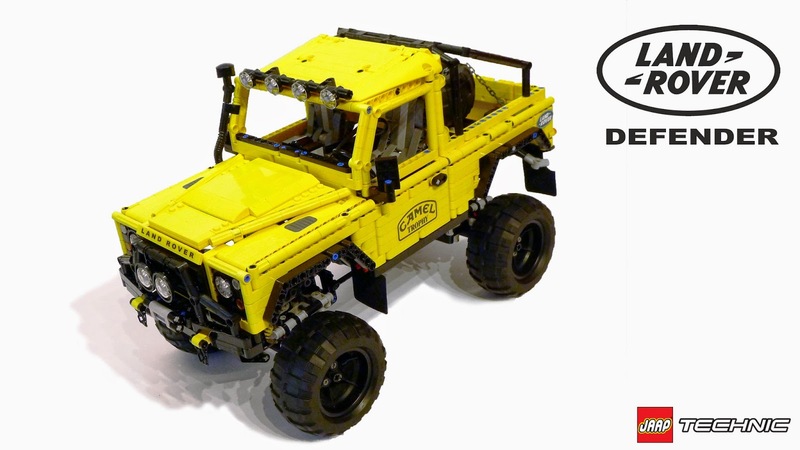 Nice creations :) Does any of these cars have lockable diffs and 2wd/4wd? Hi there. Are these instructions still avaluable for me to purchace? 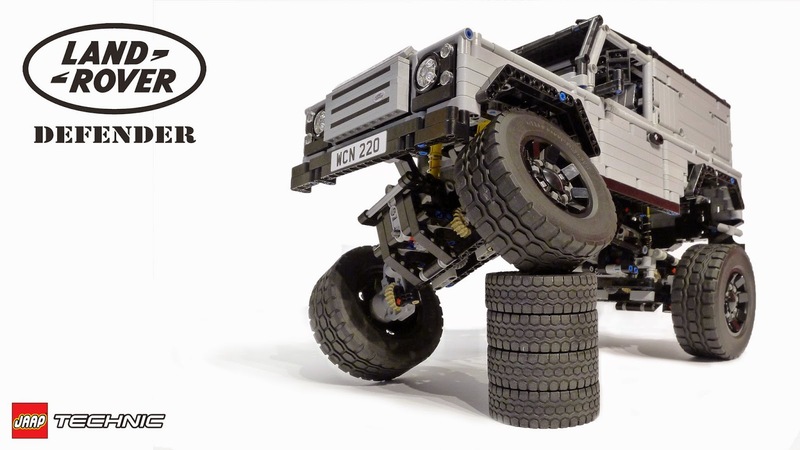 I have the 9398 truck chassis but have switched to L motors and larger rc car tyres, will this be a problem?